My friend and I describe ourselves as middle-aged "fat-packers"-- but my best friend and hiking buddy got injured--really messed up her ankle, so hiking was out of the question for the summer. She grew up doing lots of canoeing, so it seemed like a good solution. Bottom line is she really had no idea where to jump in with selecting a boat. I helped her out by watching and watching Craigslist. Then this Wenona showed up. I read every bit of literature I could get my hands on...so she made her choice. Having been in mostly camp canoes my whole life, and she had used nothing but beaters herself, the first time we took this boat out we literally stopped three strokes out into the water and looked at each other in awe. This boat is beautiful in the water. Empty, she skims along. It's very responsive, like the above post mentioned. Loaded, she handles with even greater stability. We took lots of training paddles on a local lake, and then we took an 8 day trip on a lake in Idaho. We loaded it like a cross between backpacking and car camping. After learning how to load the canoe for balance, she was SO stable. We were able to keep at cruising speed with her full. We had to watch the wind a bit, as she is 17' long, but she turns on a dime, is so responsive, and is so balanced, the length is really not an issue. This spring, I took my daughter and her 85 lb Golden Retriever out this spring--this dog had never been in a boat. He was edgy, so was walking all over the center of the boat, knocking it off balance with every step, and I never once felt like we were going to dump. (I wouldn't say that I felt calm and relaxed...but we never got wet :)) And once he figured out how to be a passenger, he relaxed and really enjoyed the ride. This boat is also outfitted with the specialty adjustable wagon seats. They are very comfortable to be in for long periods of time. She would buy this boat all over again, and I am happy to help her transport it! 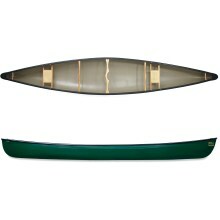 Great handling and stability loaded for two weeks on flatwater; light enough for 60-year-old to portage. 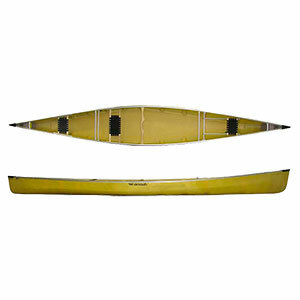 We've owned our Kevlar ultralight Spirit II with the clear skincoat (yellow kevlar color) since 1997. Named the "B-Attitude" after Bea and Barb of Wilderness Paddlers up in Ely, Minnesota, we bought her as a "blem" from the factory on the way back to Michigan from Ely. 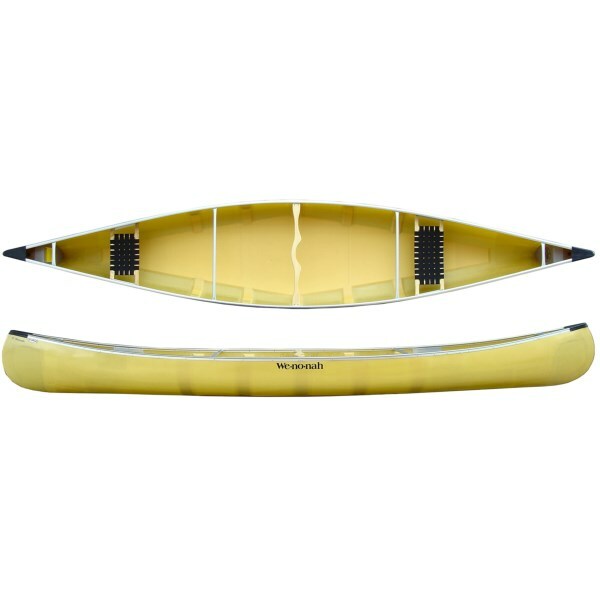 The Spirit II is a little shorter than some of the other touring/tripping models by Wenonah and has a slight bit of rocker. So she is more responsive and turns a bit faster, but also doesn't cruise quite as quickly. Being shorter also puts the paddlers slightly closer together, which can be an advantage for aging folks whose hearing isn't the best. The B-Attitude is probably a bit heavier than she was when new: we've had to perform some repairs and do refinishing over the years, and this has added a little weight. To be clear: the original finish was just fine (although as a blem there were some tiny cosmetic issues). In fact, the finish is remarkably durable: the refinishing was the result of dragging her over one too many beaver dams without taking the time to unload everything. We're not expert at canoeing by any means. But we go out every year on a 15-day "wilderness" trip in one of Canada's wonderful Provincial Parks. She carries two people and all our gear including two Granite Gear Quetico portage packs, a Boundary Waters Journal pack with a big food box in it, and a small day pack. Plus a set of cart wheels if we're planning on taking a cart trail. Welcome to Trailspace, A Wilson! 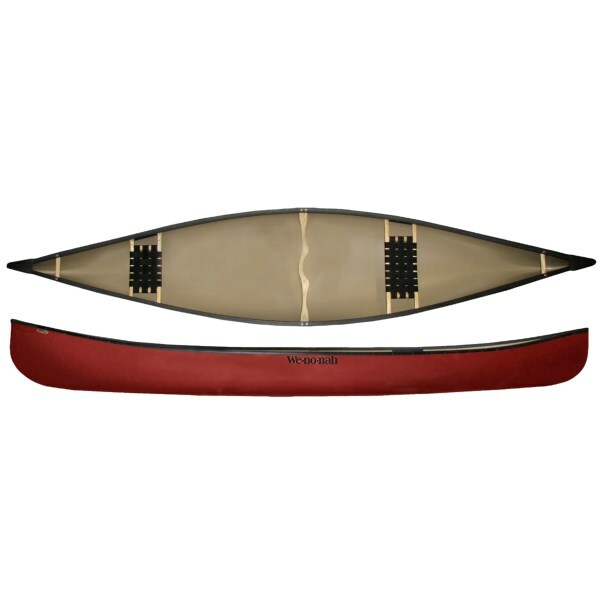 Thanks for sharing your Wenonah canoe review with us. Your annual two-week paddling trips sound great! Do you have any pictures of your Spirit II in action you'd be willing to add to your review for others to see? 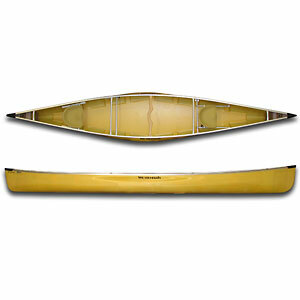 The Wenonah Spirit II is not available from the stores we monitor. It was last seen March 1, 2016	at REI.